Helina Emeru is chief technology officer of Ethiopean research and education network EthERnet. 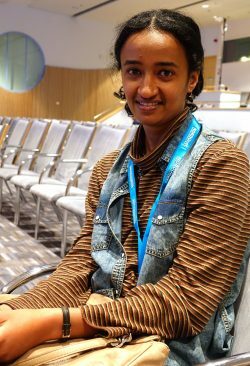 In October 2016, together with 9 colleagues from Bangladesh, Bhutan, Ghana, Khyrgyz Republic, Lebanon, Malaysia, Nepal, the Philippines, and Zambia, she travelled all the way to Helsinki, Finland, to attend the NORDUnet conference. Helina is part of a new Knowledge Exchange Fellowship program initiated by the Nordic research and education network NORDUnet. The purpose of the Fellowship program is to build personal relationships between the Nordic r&e networks – some of the most advanced in the world – and emerging networks, to exchange experience and knowledge. 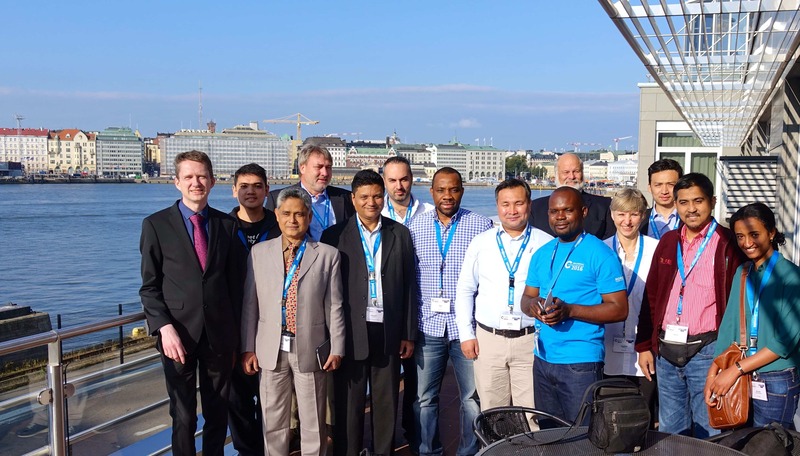 After attending the NORDUnet conference, the 10 Knowledge Exchange Fellows, moved on to the NORDUnet operations centre in Stockholm, Sweden, and the NORDUnet head office in Kastrup, Denmark, for further in-depth discussions about network operations, partnerships, services, strategies etc. The Knowledge Exchange Fellowship program is one of NORDUnet’s global collaboration initiatives, giving staff from emerging research and education networks in Africa, Asia and the Middle East an opportunity to meet peer-to-peer with likeminded people from Nordic r&e networks. According to Helina Emeru, she has a special interest in how the R&E networks in the Nordics collaborate. Taking this experience back to her home country, Helina Emeru hopes to find new ways to work together, not only with the local universities, but also with vendors involved in developing EthERnet. Currently EthERnet is serving 36 universities and preparing to expand the network to more institutions, among them medical schools. Among other things, work is in progress to deploy eduroam. Also Helina Emeru and her colleagues are working on an educational private cloud providing email service, e-learning tools etc. to the university community.